By Jonathan M. Goldman, M. Ac. Your Human Energy Vehicle (HEV), your physical and energy bodies, is the most extraordinary gift in the universe. Your HEV contains the miracle of your consciousness. Every one of your feelings, thoughts, beliefs, opinions, strengths, weaknesses, talents, challenges, miseries, glories and tools for navigating your life on earth has their assigned place in your energy bodies. 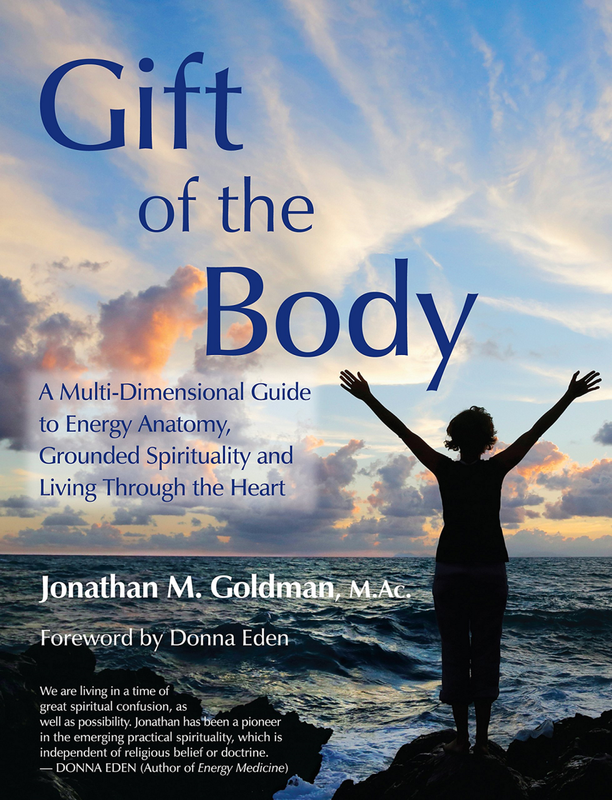 In Gift of the Body you will learn where those qualities live in you, how to transform the ones that need healing, and how to strengthen the ones that serve your true purpose. You will learn that Divine Light is a dynamic, available universal force that has nothing to do with religion and everything to do with your ability to heal yourself and others. Your Human Energy Vehicle is a mobile schoolroom. Gift of the Body is an experiential, practical, transformational textbook for the adventure school of your life. Order Gift of the Body on Amazon.